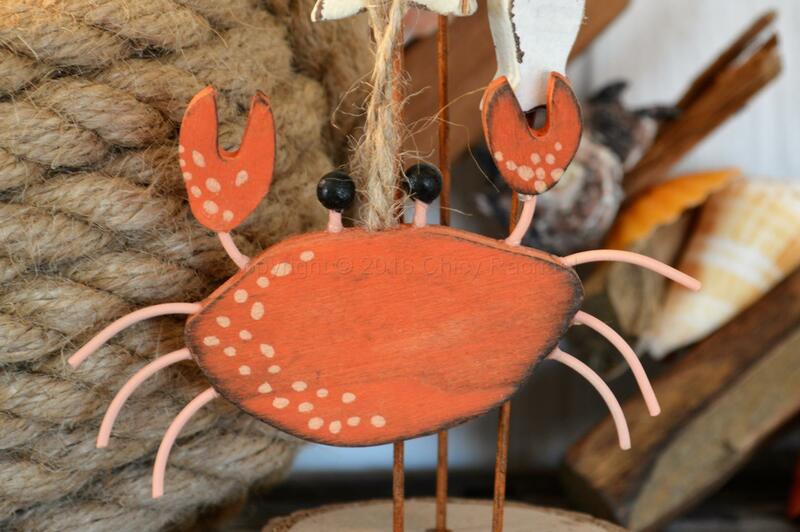 This is a fun quirky crab decoration, it’s body and claws are made from wood painted orange with spots, the legs are made from metal and has two black beads for eyes sat on top of wire. With a rustic jute for hanging. 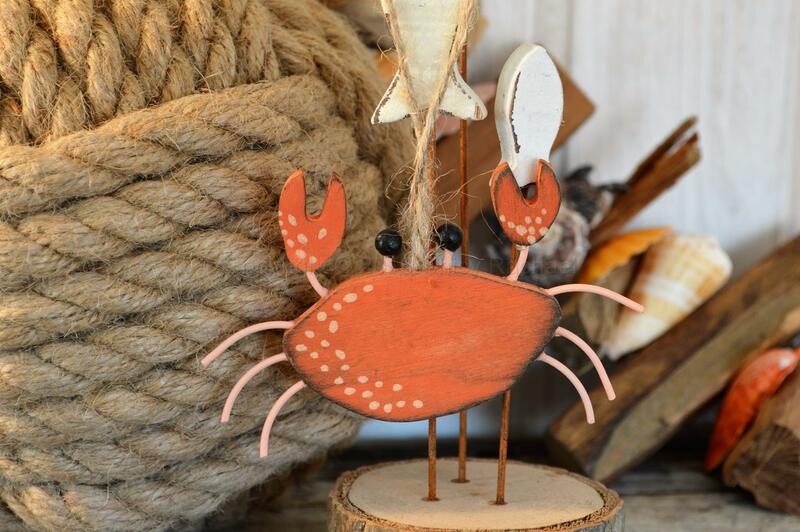 What a great addition this would make to a seaside them room or hanging from a seasonal tree.